The Educa event organisers cancelled the attendance of the conservative "True Marriage" association, citing a value clash. The Finnish Fair Corporation and the Trade Union of Education (OAJ) on Friday banned the Aito avioliitto association ("True Marriage") from participating in the annual Educa teachers' exposition in Helsinki. The reason for the group's cancelled attendance is the large number of complaints sent in by both OAJ members and other fair-goers. "Based on the extensive critique from members, active supporters and other attendees, it was clear that we had to rethink the situation," said OAJ chair Olli Luukkainen in a release. "We listened to the comments, assessed the scope of the event and concluded that Aito avioliitto ry will not attend the Educa fair." 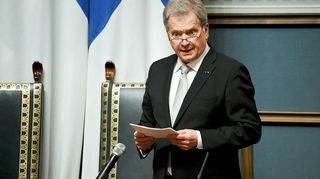 In 2016 the "True Marriage" bloc was removed from Helsinki's Book Fair because the organiser, the Finnish Fair Corporation, considered the association's behaviour to be inappropriate. The corporation along with OAJ said they wanted to ensure the success and equity of the Educa fair, which runs from 25 to 26 January. Luukkainen said that the teachers' union strives to create an atmosphere of parity and justice. "Tolerance, personal freedom and respecting human rights are part of the teacher's vocation as well as our event. These values are especially espoused as part of the official fair programme and in the platform the event offers various speakers." Luukkainen said that the "True Marriage" group was originally booked as an exhibitor at the fair, but that the association was never officially affiliated with the event programme. The Aito avioliitto association defines its mission as promoting the status of heterosexual marriage and as ensuring that children grow up to be cis-gendered; that is, that boys should become men and girls should grow into women. However, Finland's latest national curriculum obliges schools to provide teaching without resorting to gender-based models. The comments received by OAJ about Aito avioliitto reflect many people's problems with this discrepancy. "The feedback has been overwhelmingly critical," said communications manager Hanna Ottman from OAJ. "The association's involvement was under discussion before the holidays, but at the time we did not object to their involvement." A total of 300 independent companies or associations are taking part in this year's Educa fair. Chair Susanna Koivula of the "True Marriage" association said she was disappointed with the fair organisers' decision to ban the group. "Aito avioliitto ry was already listed as an exhibitor and we had paid for our space," she told Yle via email. "We do not consider this decision to be in the spirit of equality, parity or tolerance." Koivula said she felt the Educa event fails to support a pluralism of values. She went on to wonder whether teachers, students or parents have the opportunity to express heterosexual norms. Koivula called it a shame that so-called "family-positive" values are not welcome at the Educa fair.